Over 15 years in business. We take great pride in putting the customer first. Get financed today with our in-house BUY HERE PAY HERE payment plans. We also offer extended warranties on all the cars we sell. We service what we sell and also service cars we didn't sell! Bring in your current car and see how much we can offer for it in trade. Before we put any of our used cars on display, we make sure it's been through an inspection by our skilled technicians. 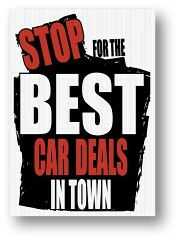 Simply we sell high quality pre-owned cars with affordable prices. Our priority is to treat all customers as if they are longtime friends and neighbors. Now !! For faster services, you can text us at (804) 858-3500 with all your questions about our online inventory, your messages will be answered by one of our sales associates –not with an automated systems. TEXT Service available 6 days a week [Mon-Sat] from 8:00am-8:00pm.